A French farmer who nearly died at the hands of a knife-wielding jihadist, who was supposed to be under house arrest, has slammed “double standards” from the media and criminal justice system concerning his case. 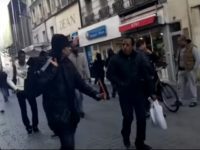 The loudspeakers of a Mée-sur-Seine mosque blasting out prayers and songs in the early hours of the morning through Ramadan caused chaos with the sleep patterns of Parisians living in the French capital’s south-eastern suburb, locals have said. A study looking at the prevalence of radical ideology among high school students has found that French Muslims are much more likely to tolerate violence and to hold fundamentalist religious views than other pupils. 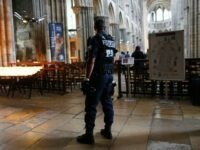 While racist, anti-Muslim, and anti-Semitic attacks have seen a huge fall since 2008, those on Christian places of worship more than doubled in this period of time, France’s interior ministry reported last week. 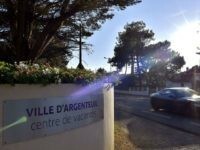 The growing religious demands of Muslim workers at a car factory in Paris contributed to the plant’s closure in 2013, Drancy deputy-mayor Jean-Christophe Lagarde has disclosed. 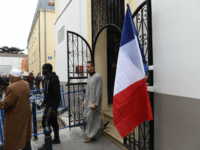 Islamic organisations and mosques in France are urging Muslims to vote Alain Juppé in the primary to decide the conservative candidate in next year’s presidential election, according to a number of sources. A primary school teacher was beaten outside his classroom by two young men who called him a racist after seeing the man rebuke a child of non-European origin. The number of people given French citizenship this year is likely to soar 45 per cent from 2015’s figure, with the vast majority of “new French” from North Africa. 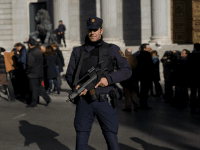 The spike follows a concerted push by the ruling Socialist Party to naturalise 100,000 people a year. 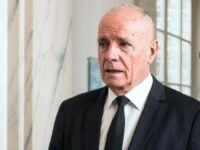 A decorated and highly regarded French General has been stripped of his office due to his involvement in a proscribed protest organised by Patriotic Europeans Against the Islamisation of the West (PEGIDA) earlier this year. 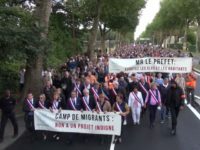 Nearly 3,000 Parisians yesterday marched to protest the French government’s plans to rehouse migrants squatting in Calais to a chic suburb of the capital. A historian has slammed the double standards employed in French schools which present Muslim conquerors as peaceful and brilliant and Christians as backwards oppressors. An event touted as a “Burkini Pool Party” in France has been cancelled after organisers claimed to have received threats including bullets that were mailed to them. 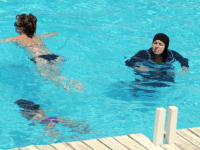 A women’s association in the city of Marseille, which has a large Muslim population, has caused outrage in secular France with its plans to rent a swimming pool for a day only for women, and saying they must be covered up chest to knees. French Prime Minister Manuel Valls has said that he is considering a ban on the foreign financing of mosques, and said that France needs a “new model” for its relationship with Islam.